That was the day I rediscovered SushiD after a hellish workday. I’d neglected it lately for Yamashiro on Myrtle. Their brown rice Dragon Roll was yummy. 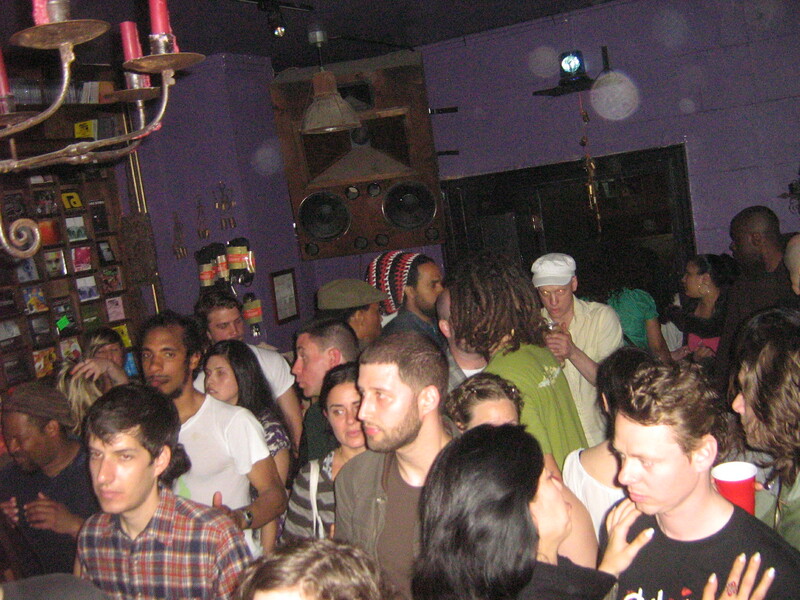 This party’s non-jeans wearing crowd brings the FiveSpot’s potential to life every 4th Saturday of the month. 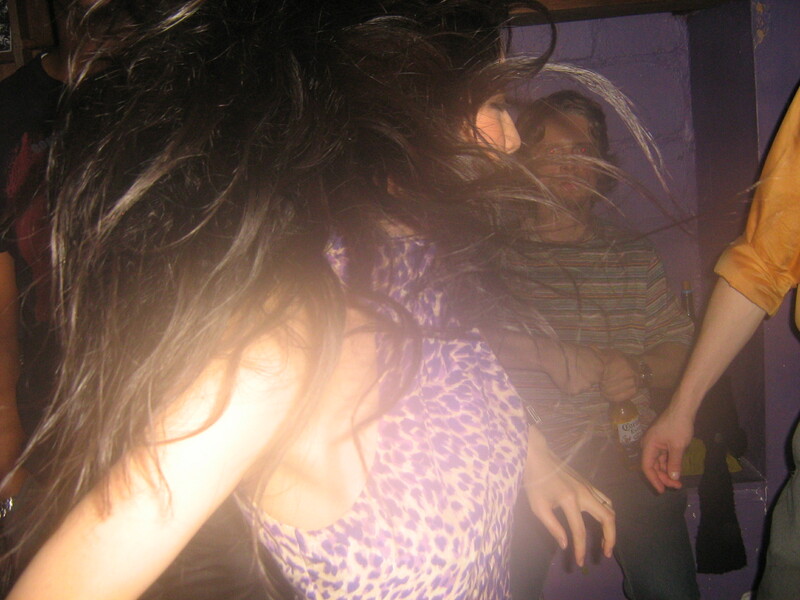 If you’re nostalgic of the days when people dressed up to go dancing in coordinated pairs, you’ll probably enjoy it. I attended the very first one two months ago. Resident DJ’s Mr Robinson and DJ Honky spin rare northern soul in between live performances by 60s singers. This Saturday Young Jessie from the Coasters is expected. Tickets are $7 on presale at myspace.com/digdeepernyc or $10 at the door. 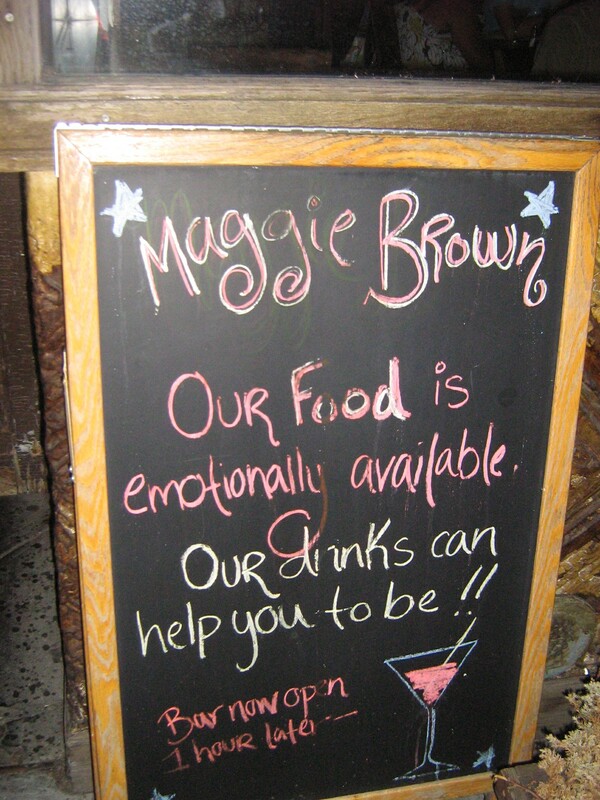 Have neglected Maggie Brown’s a bit on this blog. No more. I remember being so happy when they first arrived on Myrtle. It is also where I celebrated Christmas one year that my sister was away. And where I mourned an important relationship. Since the bar there has seen my joys and my tears (literally), it deserves more of my love. Meghan, Rashida and the other bartenders mix some great drinks too. Mojitos especially. Equals $1 PBRs and lots of Pratt students. 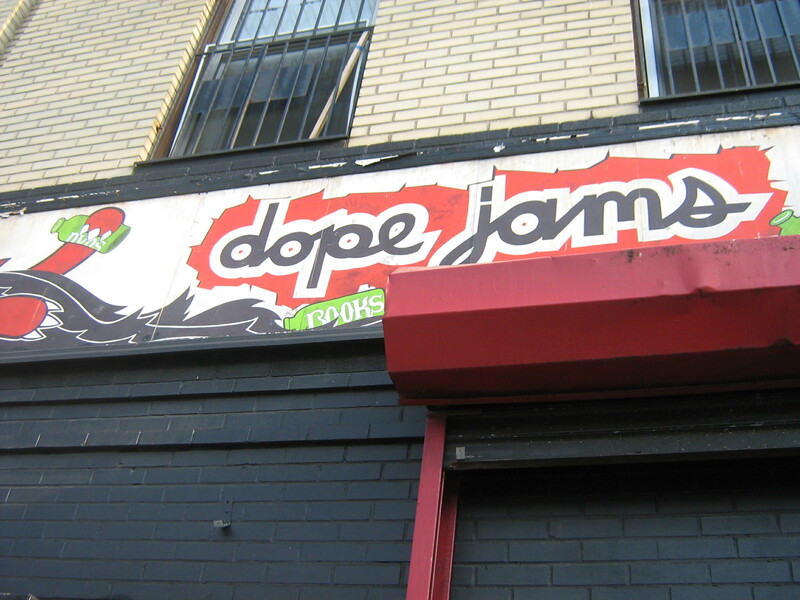 Dope Jams is a vintage record shop on Myrtle and Classon which hosts a deejayed free monthly house music party. This month’s was held Saturday night.